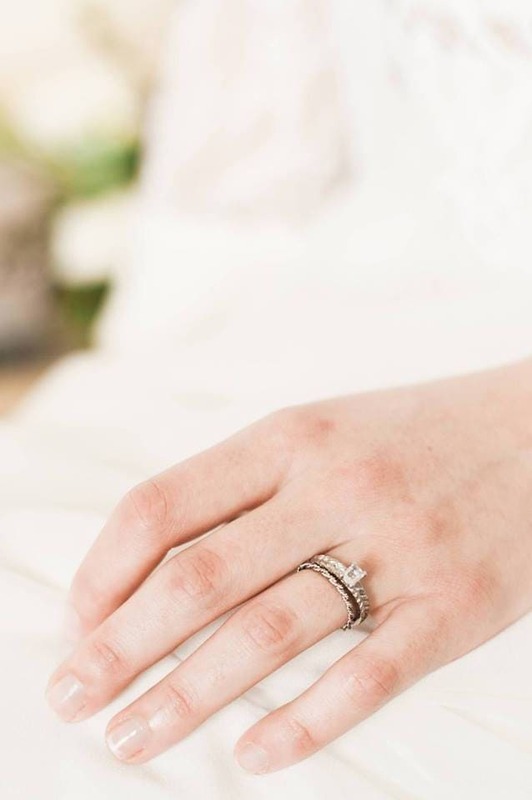 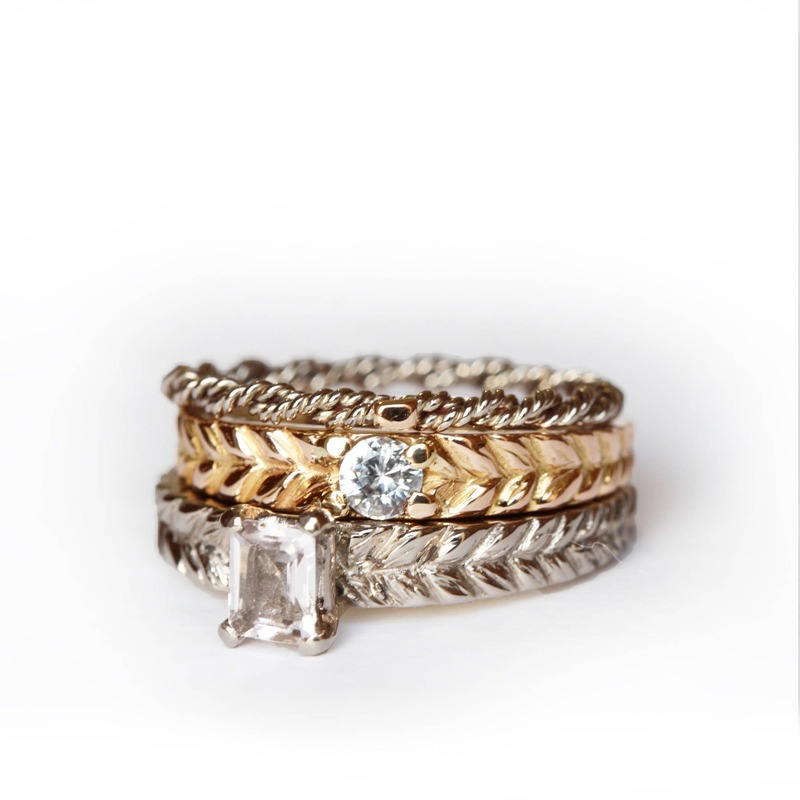 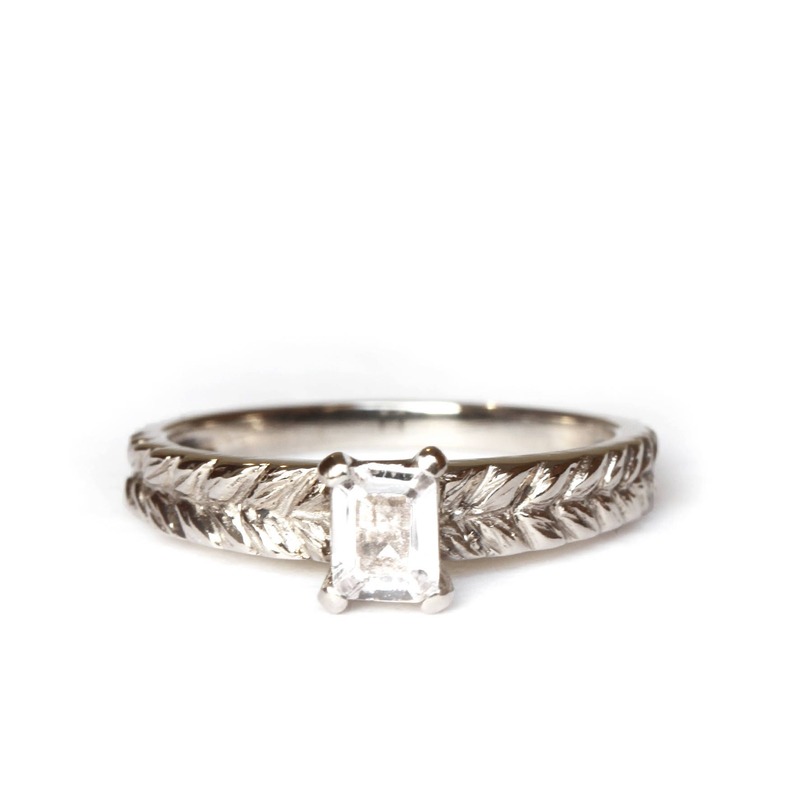 A classic style inspired by vintage regency jewellery, this timeless design can be stack with other band and ring as the setting is elevated. 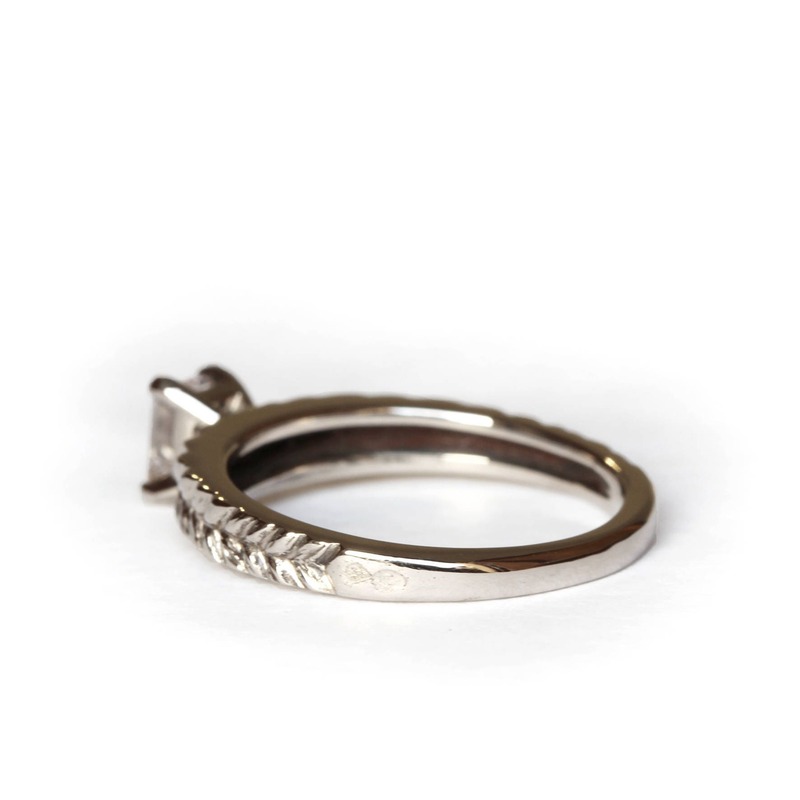 It is mounted with a white radiant cut sapphire and a claw type of setting. 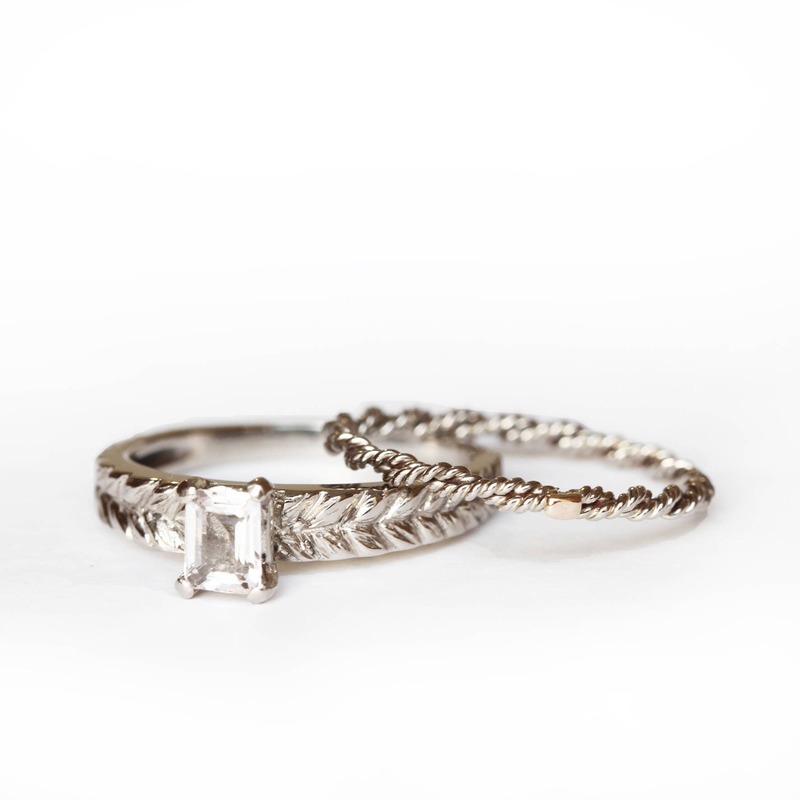 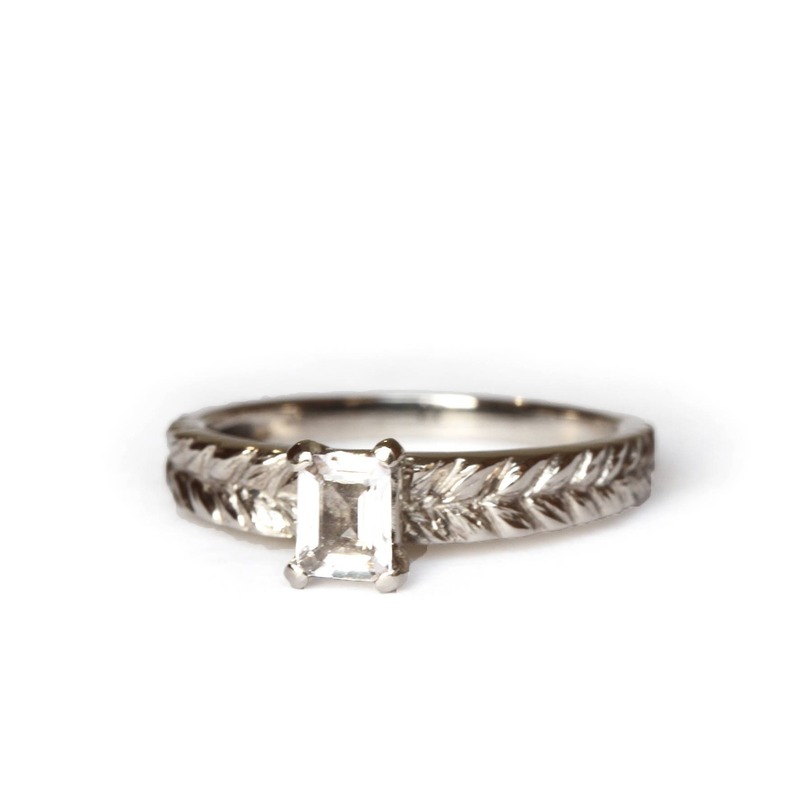 The shank is carved as a braid, giving unique feminine and classy detail and texture to this solitaire ring.